Show off your loyalties with these striking lapel pins! 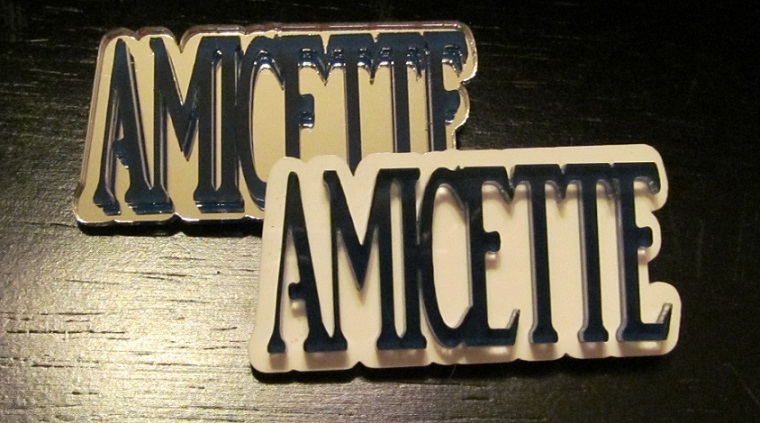 Add them to your clothing, backpack, cap and more to represent the Amicettes well! Each pin measures about 2 inches wide.